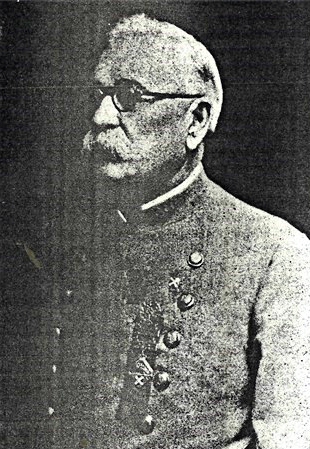 Thomas C. Little was born March 17, 1848. He was a gospel preacher from South Central Tennessee. He did much of his preaching in and around his home in Fayetteville, but also spent several years in Alabama. He held gospel meetings often, and reported successes in the Gospel Advocate. He also submitted articles to the Gospel Advocate as well. He passed from this life, January 21, 1933 and is buried in the Rose Hill Cemetery in Fayetteville. Note some of reports in the Gospel Advocate below, either about him or from him. T. C. Little, son of William and Lucy Clary Little, was born on March 17, 1848; died on January 21, 1933, at the age of nearly eighty-five years. He was married to Miss Agnes Goodrich on December 10, 1868. Four children survive him: Mrs. J. B. Parks, Miss Ida Little, Miss Agnes Little, and T. C. Little, Jr., all of Fayetteville, Tenn. Brother Little had been a member of the church about fifty-six years. He was baptized by Brother Granville Lipscomb. He has been preaching fifty-one years, and has the record of establishing eight congregations. It is said that he married more people and preached more funerals than any preacher in Middle Tennessee. He and the writer have been associated for fifty-one years. He attracted me at the beginning with his positiveness and devotion to the old Book. He had no speculation in his preaching had no hobbies to ride. Life is too short for anything but plain preaching. "To the law and to the testimony"that ended it with him. I have been with him in the homes of the very poor, and have never heard him say a word or do any act that would embarrass the very poorest. This, to me, was remarkable, considering the way he was reared. I cannot close this sketch without reference to his wife, who left us twenty-one years ago. When they were married they differed religiously. He was a Presbyterian and his wife a Christian only. She won him to the truth, not by caustic argument, but with the wisdom of a serpent and the harmlessness of a dove. Brother Little never ceased to honor her for her fidelity to the truth. She has been gone a long time, and I still cherish her memory for giving the world a great preacher. We have worked harmoniously these many years. Part of that work was hard, but I now rejoice that it has been done. He fought the fight, he kept the faith, hence the promised crown. - B. F. Hart, Gospel Advocate, April 20, 1933, page 382. T.C. and Agnes G. Little are buried in Fayetteville, Tennessee in the Rose Hill Cemetery. At the intersection of US 431 and Hwy 64 heard west a couple blocks and the cemetery will be on your right. Bear off to the right on Morgan Ave. North to find the entrance. Drive through the main gate, go until you come to the second grass road to the right. Luke for a large burial vault above ground on left.